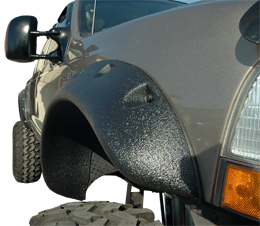 LINE-X Spray applied Coatings provide long lasting durable protection not only to truck beds, but to other areas of your vehicle such us wheel arches, wing mirrors and bumpers. Our LINE-X polyurea coating is sprayed straight on the substrate , making a perfect final fit for any shape or sized accessory. The key to the LINE-X spray-on liner is the airtight and watertight seal, which means no more rub spots, rust or corrosion to any part of your vehicle exposed to harsh conditions. 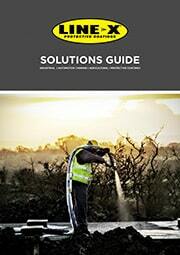 LINE-X spray-on Coatings are maintenance free, offered in a variety of colours and can even be colour matched.